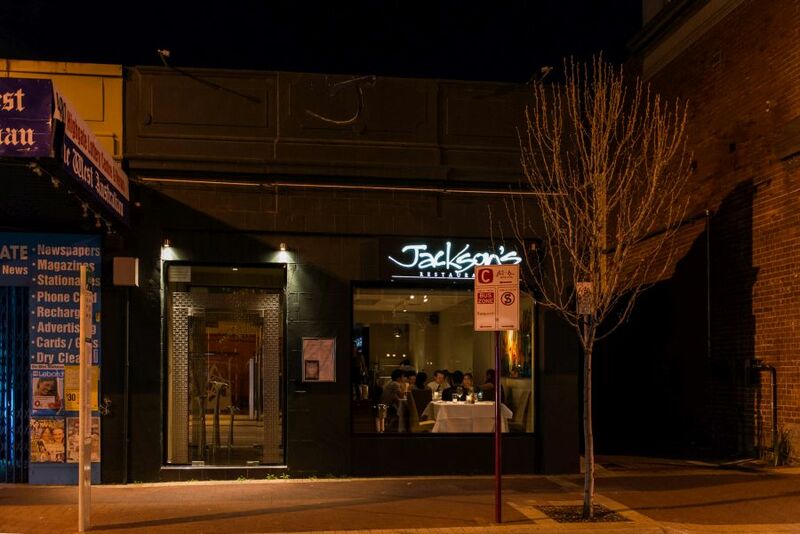 Jackson’s degustation is one of the legends of Perth hospitality. Chef-owner Neal Jackson first served the “Dego” 15 years ago and recently announced that 31 August 2013 would be its end, making way for a new direction at Jackson’s. My family gave me a Jackson’s voucher for my birthday back in April, and I’d been hanging onto it for a special occasion. 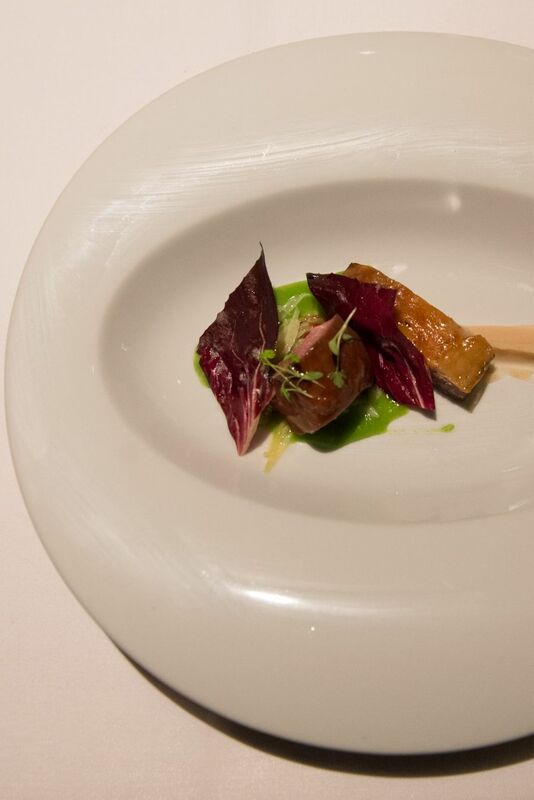 The chance to experience the famous Dego was special enough. 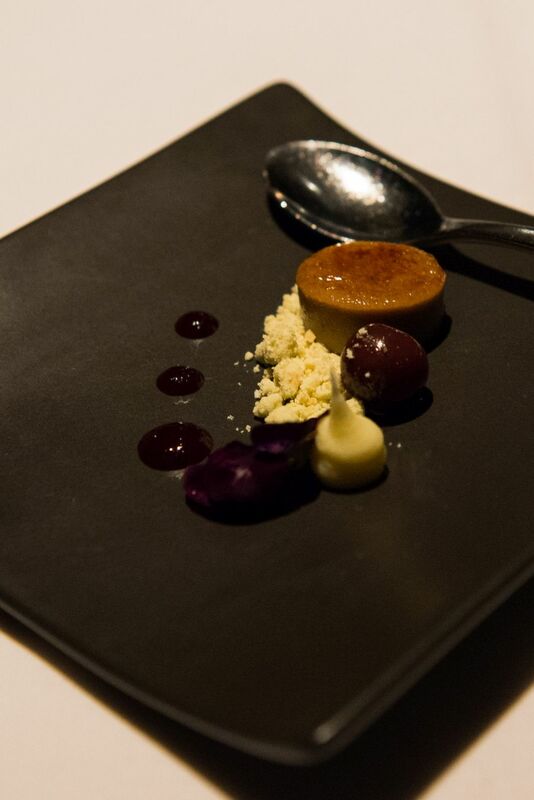 At AU$130 per person, the Dego is slow, exquisite dining. 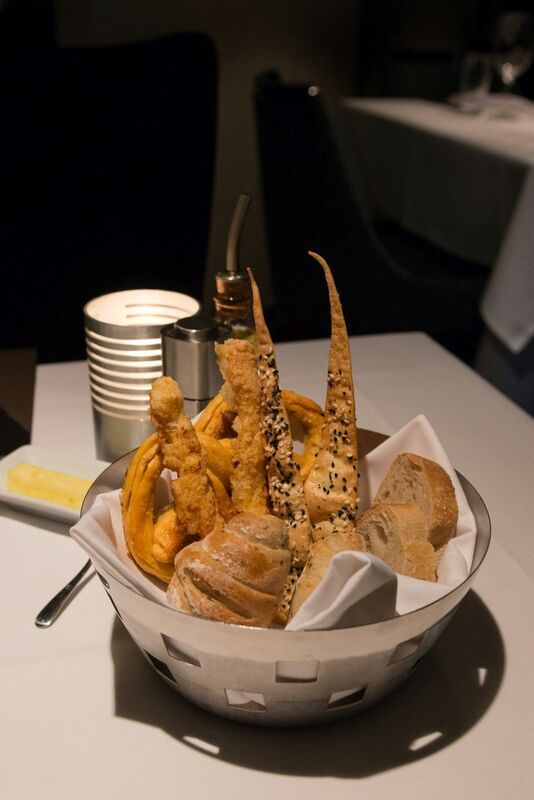 Why do amazing restaurants tease and torment you by serving such spectacular bread at the start of the eating marathon? We all know, we all tell each other: “Don’t fill up on the bread.” My strategy was to sample each bread in the basket. Just a nibble to taste. But after one bite, I ached with longing to finish the cheese sticks. 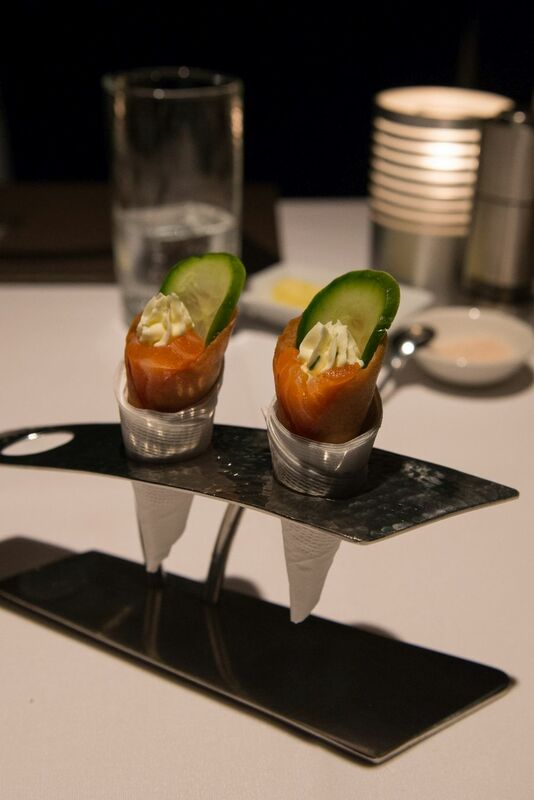 After the bread, the amuse bouche, a perfect mouthful: G&T cured salmon, cucumber and cream cheese in an anchovy-flavoured cone. 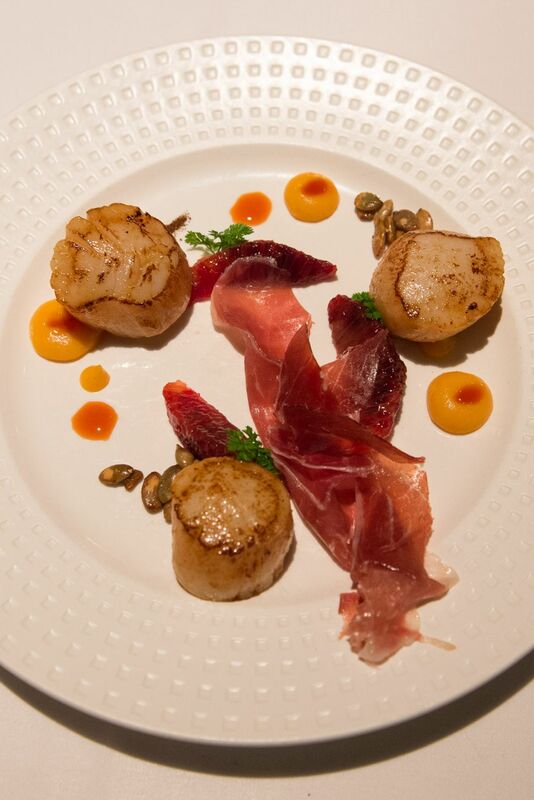 The first ‘official’ course from the Dego menu was jamon Iberico, seared scallops and blood orange. When the plates were first delivered to our table, there were no scallops to be seen. We were bemused; maybe the chefs had done something frightfully clever and the scallops no longer resembled scallops. We grabbed the attention of a passing waiter who assured us we hadn’t gone mad or blind – yes, we were right, there were no scallops. He whisked the plates away with an apology. We didn’t have to wait long, and when the plates were returned, we had to laugh – these were the plumpest and largest scallops we’ve seen for a long time – no way we would’ve missed them if they’d been on the plates! The zesty blood orange, wispy ribbon of jamon and roasted pumpkin seeds made a surprisingly harmonious combination. Next, marron; crab, chicken and mayo sandwich; truffle. The marron was from Blue Ridge, Manjimup; the crab from Shark Bay. 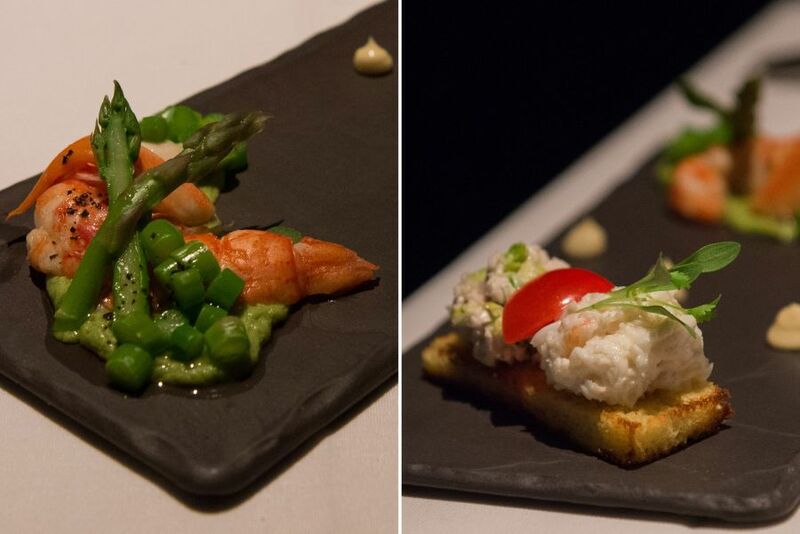 I couldn’t decide which half of the dish I liked more: the sweet, delicate marron tail and crisp asparagus, or the decadent open sandwich on toasted brioche, generously loaded with chicken and crab meat. On the slab, three dots of truffle mayonnaise that I carefully shared between marron and crab/chicken. A wonderful taste of Western Australia. 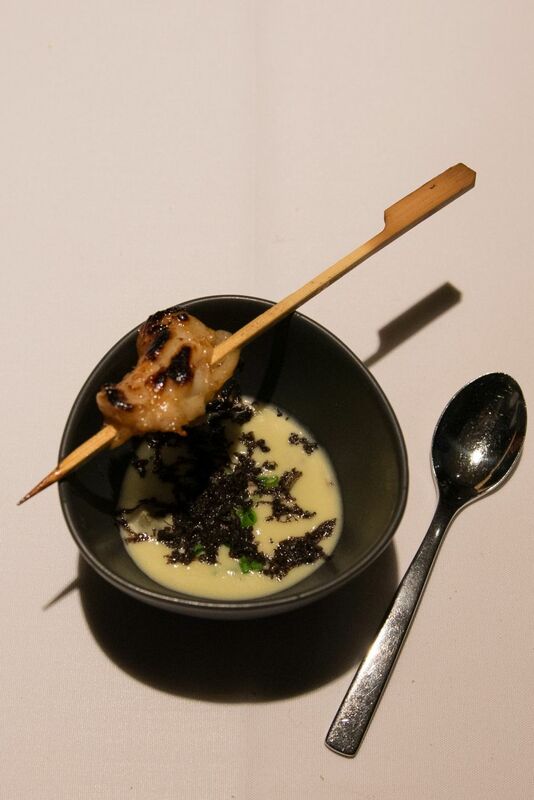 A surprise course: a winter treat of leek and oyster soup with Manjimup truffle and Broome bug yakitori. We’d never eaten Broome bugs before. They’re caught off the coast in a sustainable fishery in the state’s North West, the fine-fleshed country cousins of the slightly more famous Balmain bugs. There was plenty of shaved black truffle and oyster meat in the creamy soup. 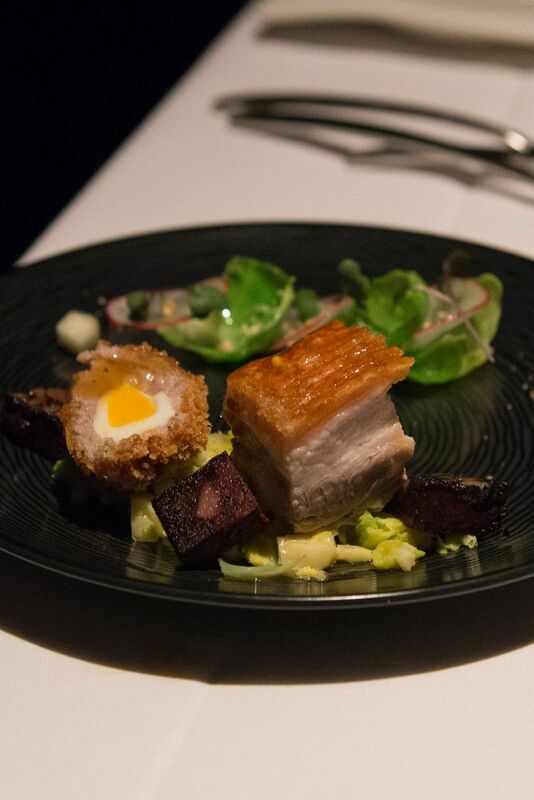 Next came the roast pork belly, black pudding and scotch quail egg, served on creamed Brussels sprouts and with a salad of radish, Brussels sprouts and apple. 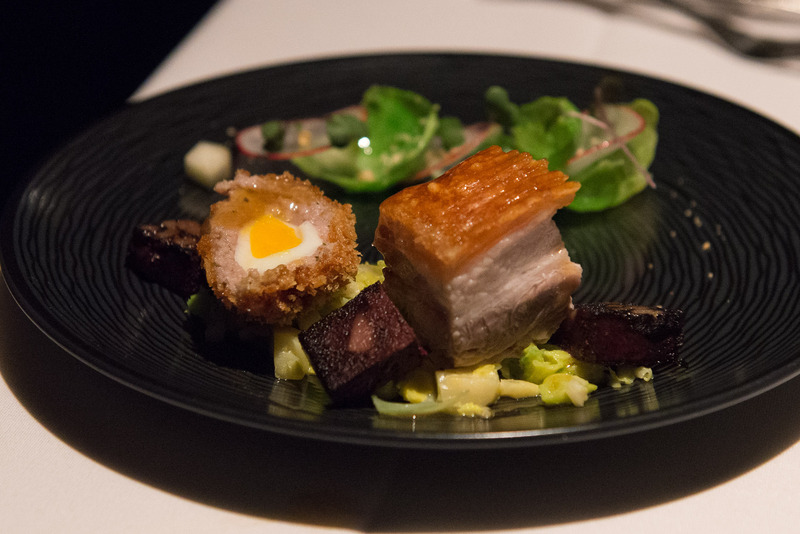 There was plenty to tantalise here: vividly yellow gooey egg yolk, cubes of black pudding that tasted more of grain than blood, a chunk of pork belly with all the essential layers present: succulent meat, silky fat and crunchy crackle. 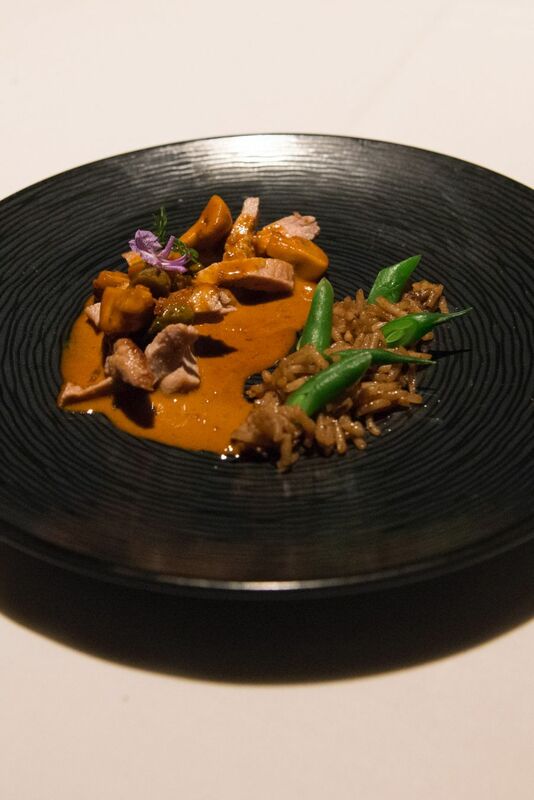 We expected the lamb dish next but were presented with yet another surprise: veal in brandy sauce with mushroom rice, plated with finesse. This has to be the fanciest stroganoff I’ve eaten. The mushroom rice was an unexpected stunner. Next, the Amelia Park lamb rump and belly, parsley gravy with white bean puree and radicchio. The serving may look small, but trust me – by now, we’d been eating for over two hours, and (insert a glutton’s groan with a big grin and just a hint of excitement) there was still another meat course to come. The final savoury course was venison loin, horseradish noodle, beetroot and chocolate. Something we noticed and really liked was how a single ingredient was prepared/presented in different ways on the plate; we appreciated this in the blood orange and the Brussels sprouts, for example. Here, it was broccoli: a shaving of stalk which most cooks would think nothing of discarding, broccoli puree, and the more familiar “trees”. 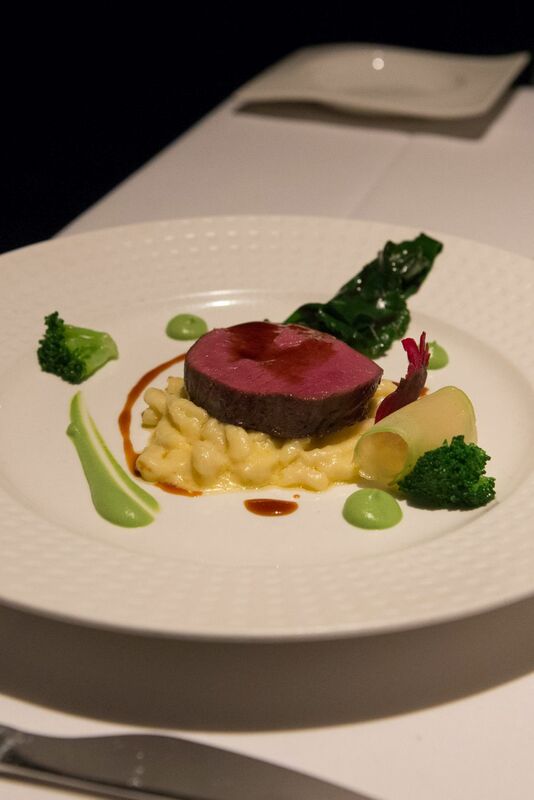 The spaetzle-style horseradish noodles were bitey and piquant, the Bindoon venison tender. As our waiter gave our table a tidy up and swept up our crumbs, she asked if we would like the optional cheese course of Camembert, apple and bacon strudel with Waldorf salad (extra AU$16). As much as that appealed, we knew we’d be battling to get through it. A Dego surprise veteran by now, I suspected that the kitchen wouldn’t just serve dessert, and I was right: out came a pre-dessert, a mini creme brûlée with a boozy marinated cherry, cherry sauce, white chocolate ganache and dehydrated white chocolate powder. The baby creme brûlée was as good as any full-sized versions we’ve eaten, complete with a toffee brown crust we delightedly tapped and cracked with our spoons. Dessert was listed on the menu simply as “chocolate and lavender”. Modern desserts comprising multiple apparently random elements arranged on the plate always make my spoon circle as I try to decide where to begin. 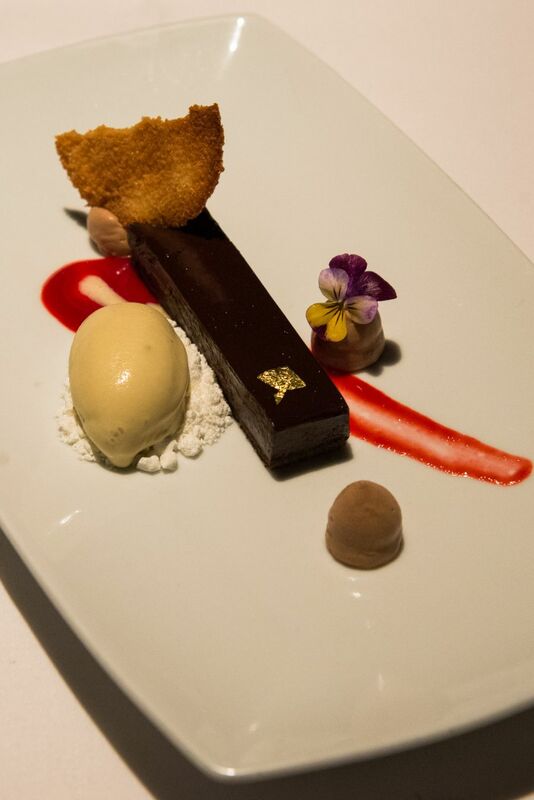 Here was a shiny smooth dark bar of chocolate tart decorated with gold leaf, three blobs of chocolate mousse, a coconut tuile that reminded me of Chinese New Year biscuits, lavender ice cream sitting on meringue crumbs and that modern plating essential, the smear – in this case, raspberry sauce. Lavender’s not a flavour I enjoy; after a few spoons I had enough of the flavour of Nanna and left the rest on the plate. But to whoever crafted that chocolate tart and mousse: you are a master. 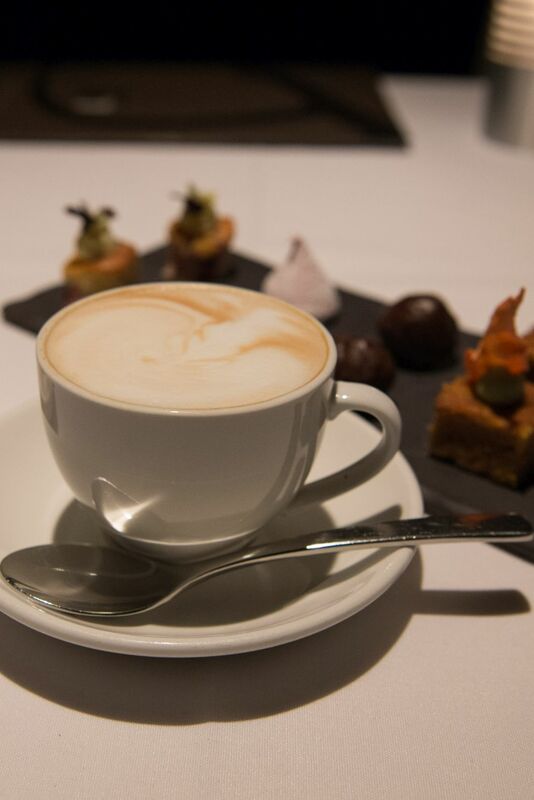 Coffee, tea ‘and things’ are included in the Dego, and we were curious to find out what the ‘things’ would be. 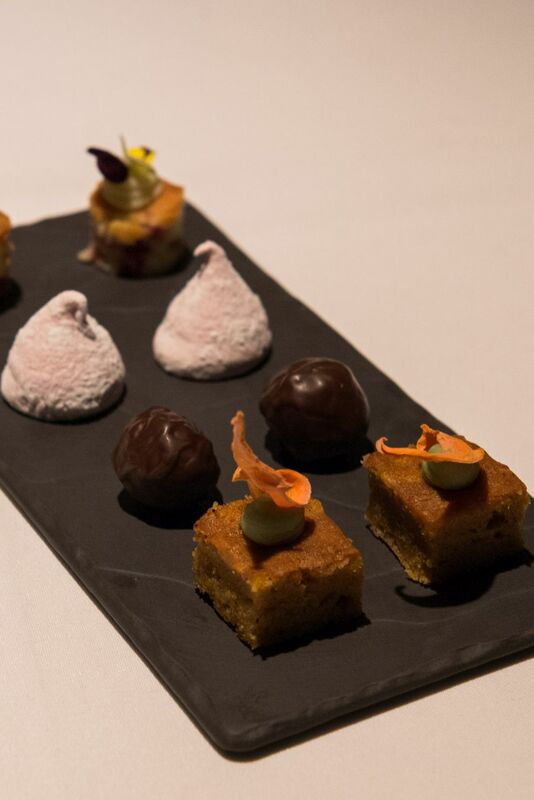 We were presented with a selection of petit fours – carrot cake with dehydrated carrot and green tea ganache; Captain Morgan rum balls, marshmallow (Jac couldn’t resist prodding one before eating it) and white chocolate and raspberry torte. For AU$130 per person, you expect to be well fed; leaving hungry or dissatisfied in any way would be unacceptable. We were extremely well fed: one amuse bouche, bread, five savoury courses and one dessert, plus three surprises (two savoury, one sweet). This is grand, special occasion eating – the bounteous meal took over 3 hours. A few dishes in, our waiter asked if we were happy with the pace (we were). We were impressed by the variety of petit fours but couldn’t help thinking it was a waste, with half the items served to us destined for the bin. We often joke about bringing Glad sandwich bags with us for such situations… don’t worry, we’d never do it. The restaurant is much bigger than it appears from the street. 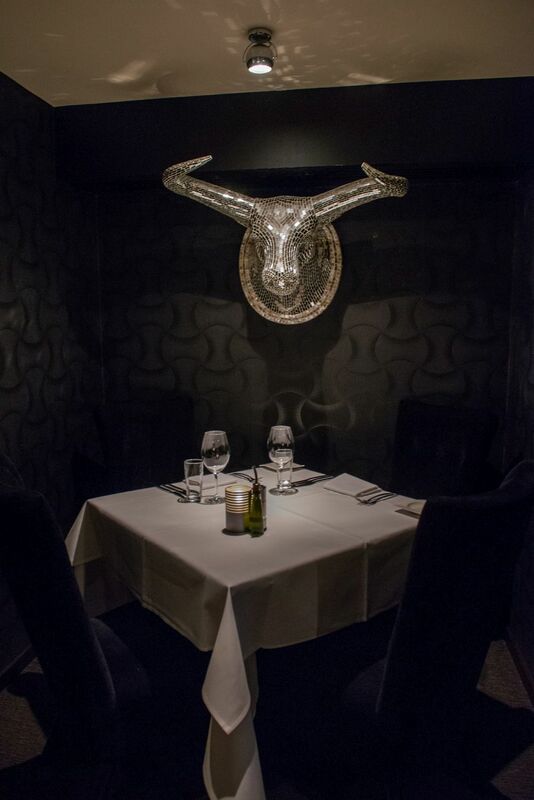 We sat in a booth near the back of the restaurant, similar to the one pictured below, except that we had three clay masks on our section of the wall instead of a mirror-tiled bull’s head. We could hear voices from the booth next to us, but still enjoyed a reasonably private dining experience. The Mystery of the Missing Scallops was the only hiccup during this meal, and by the time we reached the end, we had practically forgotten about it. Service was attentive, confident and efficient; our water glasses were kept topped up, more drinks offered, plates cleared quickly, each dish introduced, questions answered and friendly smiles given without inane chatter. It was a real pleasure. Fine dining restaurants thrive and survive by consistently providing amazing food and top-notch service, but also by innovating, evolving and adapting. They meet our high expectations but continue to surprise and enthral us. According to Jackson’s, the end of the Dego will bring more flexible and accessible dining. The a la carte menu will remain (most of the dishes we enjoyed in the Dego are currently available on the a la carte menu). From 3 September, something quite different: a new lounge area will open at the front of the restaurant. You’ll be able to order drinks and from a range of snacks including truffle popcorn and kimchi dogs. It’s an interesting move, and I hope it’s well received. 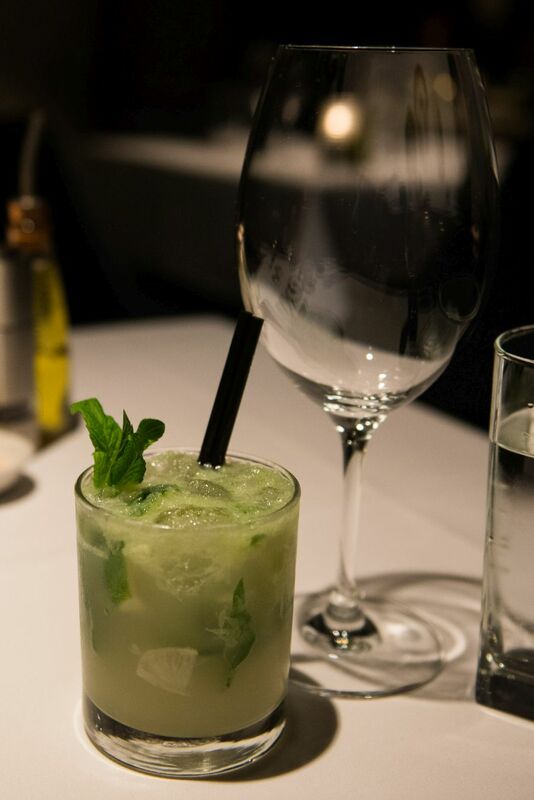 For those of you who’ve experienced the Dego at Jackson’s, which dish did you find most memorable? 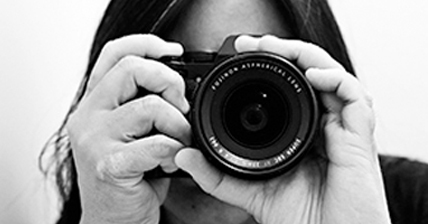 Speaking of special occasions, The Food Pornographer blog turned 8 years old in August – thank you for reading! Jackson’s – frontage. From 3 September, it’ll be the new lounge area you’ll see through that window. Jackson’s last Dego will be served on 31st August.